It’s also a great device to purchase for adding Roku functionality to multiple televisions. You can purchase two Roku streaming sticks for the price of just one Roku Ultra. Both new Roku Streaming Sticks are black and weigh less than ½ an ounce. The processor is said to be 50% more powerful than the 2016 Roku stick and comes with an updated remote. This remote comes with volume and power buttons that will work with your TV. Say goodbye to needing two remotes to control your Roku and TV. The new remote will also have a built-in microphone for voice search. The device is minimal in design. The device sports a micro-USB port, which powers the device from a power outlet. The Roku Stick lacks an Ethernet connection, audio port, or SD card slot. Therefore, if you are looking for any of those functions you may want to look at the Roku Ultra. The standard Roku Stick is priced at $49.99, displays video in 1080p but lacks HDR and 4K video support. However, you can now get that functionality in the Roku Streaming Stick Plus. The Roku Streaming Stick Plus sets itself apart by supporting HDR and 4K at 60 frames per second. Believe me. If you want one feature in a streaming device, it’s HDR. The real world color it provides really sets it apart from non-HDR video. Furthermore, the Roku Streaming Stick Plus significantly boosts Wi-Fi range and signal quality. It does this by putting the Wi-Fi module on the power dongle instead of being built into the stick. This will distance it from interference from your TV and improves the Wi-Fi signal quality. Unless you are asking, “What’s a Roku”, you are most likely familiar with the look and feel of navigating the Roku user interface. Like all other Roku models (stick or not), the Roku Streaming Stick uses the same Roku OS we all know and love. Therefore, if you used a Roku before, you will be intimately familiar with navigating the new Roku Streaming Stick. For those not familiar, Roku sports an easy to navigate home screen that displays all the downloaded channels (also called apps) that you use. You install apps like Sling TV, Netflix, etc. through the Roku Channel Store. The homepage is fully customizable allowing you to order the channels how you see fit. There are a few pre-installed apps, but Roku allows you to remove them from the interface if you like. Roku has thousands of channels available and every major streaming service is available. Netflix, Amazon Instant Video, DirecTV Now, Sling TV, Hulu, and more are all there. In fact, if content availability is what you are looking for in a streaming device, I suggest Roku. They even have “The Roku Channel” which shows free movies and TV. Roku OS provides a function called “My Feed”, which allows you to set favorite shows on your subscription services. Roku will then let you know when new episodes of those shows are available. Roku OS also provides one of the best search functions of any streaming device. When you search for an actor or title, Roku searches through over 30 major streaming services to provide results. 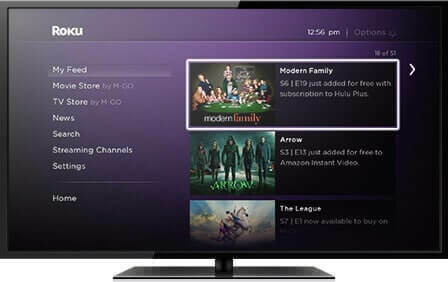 Furthermore, Roku is pushing out it Roku OS 8 update which will integrate Live over the air TV with Roku search results. Step 1: Plug the Roku Streaming Stick into an HDMI port on your TV. Connect the micro-USB port to the TV’s powered USB port, or the USB external adapter. Not all USB ports supply power. If the Roku Stick doesn’t power on when connecting to the TV’s USB port, use the USB external power adapter. Step 2: Turn on the TV and make sure it’s on the correct HDMI input. Step 3: Insert the two included double AA batteries into the remote. If the LED starts blinking, it is pairing with the device. Once the remote pairs, the LED will stop blinking. Step 4: Follow the guided setup on your television to set up the device on your network. The new Roku Streaming Stick uses a quad-core processor. Roku boasts the new processor makes this version 8 times more powerful than the 2014 Roku Streaming Stick. Networking – 802.11ac dual-band wireless support with WEP, WPA, and WPA2 security. Video – 720p, 1080p, Streaming Stick Plus supports 4K video and HDR10. If you already have a streaming device and are happy, then there is no reason to run out and get a Roku Streaming Stick. 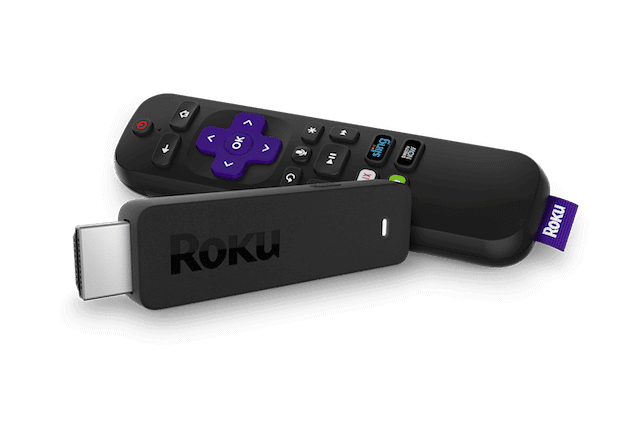 However, if you are looking for an affordable way to add streaming functionality to your TV, then the Roku Streaming Stick is a great product to purchase. Furthermore, if you’re a looking for an affordable way to add HDR and 4K video, the Roku Streaming Stick Plus is a perfect solution. The previous Roku Streaming Stick is still available and at a discounted price. However, we are unsure how long those will stay on the market.